According to the Alzheimer's Association, 1 in 3 seniors will die with Alzheimer's disease or other dementias. The National Institute on Aging describes Alzheimer’s as an irreversible, progressive brain disorder that slowly destroys memory and thinking skills, and eventually the ability to carry out simple tasks. Join us for a presentation exploring Alzheimer's, Parkinson's and Lewy body dementia as part of the Weill Cornell Medicine (WCM) Wellness Series. 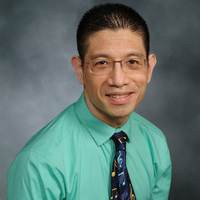 Michael Lin, M.D., is a WCM associate professor of neurology. Dr. Lin received his medical degree from the University of California at San Francisco and completed his neurology residency at the Massachusetts General Hospital before coming to WCM. He serves as director of the WCM Memory Disorders Clinic, where he sees patients and oversees clinical trials seeking new therapies for Alzheimer's.